I was also disappointed, I think the problem is that an ‘exciting Android update’ was promised, which turned out to be seamless conversion of prepay to CA. That’s definitely important but it’s not what I was hoping for, I’ve been waiting (fairly patiently!) for budgeting tools on Android for almost a year. If nothing had been said then expectations wouldn’t have been raised. It would also help if there was clarity on exactly what Monzo means by parity. 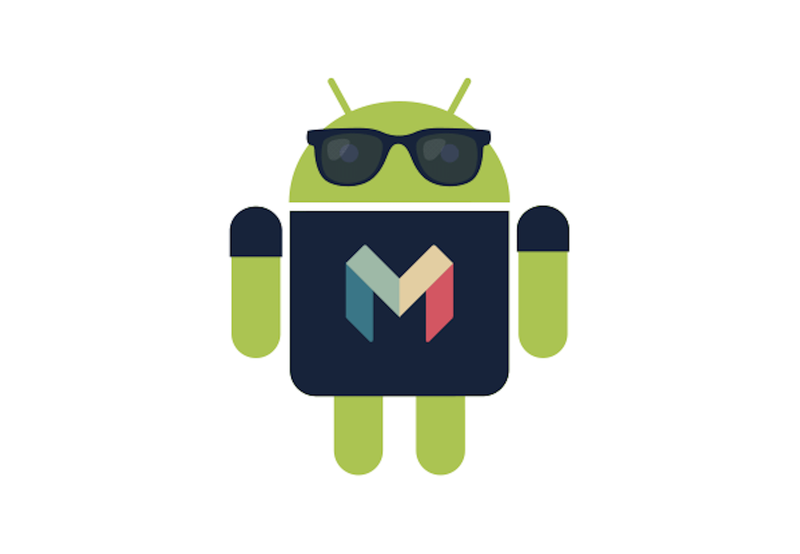 Monzo is hiring Android developers, which was mentioned several times, hopefully that will improve things. I don’t think it makes sense to build features for an app that is going away in a few months? I agree. What I meant was the lack of porting the likes of Pulse graph and Targets from iOS to Android. From what I gathered the parity statement was around general CA account functionality - with the significant absence of these two unique selling points. From what I gathered the parity statement was around general CA account functionality - with the significant absence of these two unique selling points. I always thought that parity meant that when the current account launches that ALL features on iOS would be on android? Is that not what is happening? It was clarified to be “all current account related features”. The Android team have confirmed they’re working on exporting and touch ID though so I guess this is just about the pulse graph? To kick off a week of Android-related news and updates, product manager Jami brings us up to speed on all things Android, and explains what’s in store for the next few months. when they explained that the features that won’t be ready for the launch are features that are getting a complete overhaul in the iOS app too & / or won’t work properly with the current accounts anyway. They also said that the Pulse Graph might be released this year, as it’s so important for users to be able to see when they’re due to go overdrawn & for managing the overdrafts. Looks like I missed this post / some key details in it… Thanks Alex. I’ve been using Monzo for over a year now for android and although I’ve been enjoying the experience it certainly has fallen short of my expectations. Simple things that I believe have long been available for iOS keep getting delayed for Android, like setting targets for each category, being notified when you overspend or when your expected to fail to hit your targets come through end of the month, etc, etc. Personally, I think simple features like that are some of the main reasons people joined in the first place and there’s been plenty of time to work on those. My question is, is there any serious plan to close gap between iOS and android? And if so, when are those features planned to be added to android? I don’t know what the competition is offering, but if nothing changes next year, me and I believe more android users might start investigating and finding a better solution elsewhere. Just trying to help. Yeah, I want to know why android is ahead on contactless pay. They should move the android developers onto iOS until we catch up. While I agree that it can be frustrating not having the features that the other platform has (I for one really really want targets on Android) I think it’s important for us to understand that the monzo teams have a lot to do. It’s not as if they plan on having 2 separate finished applications for both platforms all with different features. The time will obviously come when both platforms are at the same level with the same features. It is simply a matter of time. Once that stage is reached I feel it is likely that there will be very little disparity from then onwards, but for now I think it’s unfair to make the iOS devs stop what they’re doing purely to let the Android devs catch up. From a developer’s perspective iOS is also a much nicer environment to work with compared to Android so I can’t really blame them. But if the lackluster Android app is a dealbreaker you might want to check out other challenger banks in the meantime - I’ve heard Starling had pretty good Android/iOS feature parity. I think we’re seeing the consequences of the implementation of minimum viable products to users. Both Monzo and Starling appear to be adopting this approach, and that is fine if you’re able to iterate the product quickly on the experience of users. Both Monzo and Starling say they’re in Beta. Monzo is extremely transparent about this; Starling much less so. They’re both trying to gain customers quickly and develop their products. With its roadmap, Monzo is quite transparent about this; Starling much less so. Perhaps we should cut them some slack? The problem is, people are beginning to see what is possible when you put disruptive new ideas into Banking/apps …and many are hungry for more. Unfortunately, I don’t believe that Monzo can iterate and develop the product quickly and I’m pretty confident that a Starling can’t do it quickly at all. And when you have both iOS and Android for which to create, develop and maintain apps, getting feature parity will always be a challenge if development time is already a challenge. But if the lackluster Android app is a dealbreaker you might want to check out other challenger banks in the meantime - I’ve heard Starling had pretty good Android/iOS feature parity. Really! I don’t think we need to be like that. Sometimes it’s better not to say anything instead of some unhelpful advice. Sorry if you found this unhelpful but personally I’d rather see those people happy with another challenger than constantly waiting and begging for Android support here. personally I’d rather see those people happy with another challenger than constantly waiting and begging for Android support here. I don’t think there’s any harm in trying the competition. You might prefer it; you might not. You probably will get a feel for the way that each of Monzo and Starling does business and you’ll go with the one that suits your preferences. I am not saying there’s anything wrong in trying whatever users want but your post comes across as hey Android guys who cares go away to the other guys!